The Government has announced new minimum standards for rental houses. The health aims are laudable, but are the practical or enforceable? And will they result in more people dumping their property investments? This adds to financial disincentives for landlords, which will increase further if a more comprehensive property Capital Gains Tax looks likely as recommended by the Tax Working Group. I wonder why this has been announced on a Sunday? Minister of Transport Phil Twyford has admitted that a Labour promise for a light rail line in Auckland to be completed by 2021 will not be kept, but he says that the Jacinda Ardern promise was made before she was Prime Minister. Labour is promising to build a 20km light rail line from the city to the airport as a priority – partly funded by higher petrol prices – leader Jacinda Ardern announced today. She says Labour will build light rail from Wynyard Quarter to Mt Roskill within four years, followed by light rail from Mt Roskill to the airport and light rail to West Auckland within 10 years. 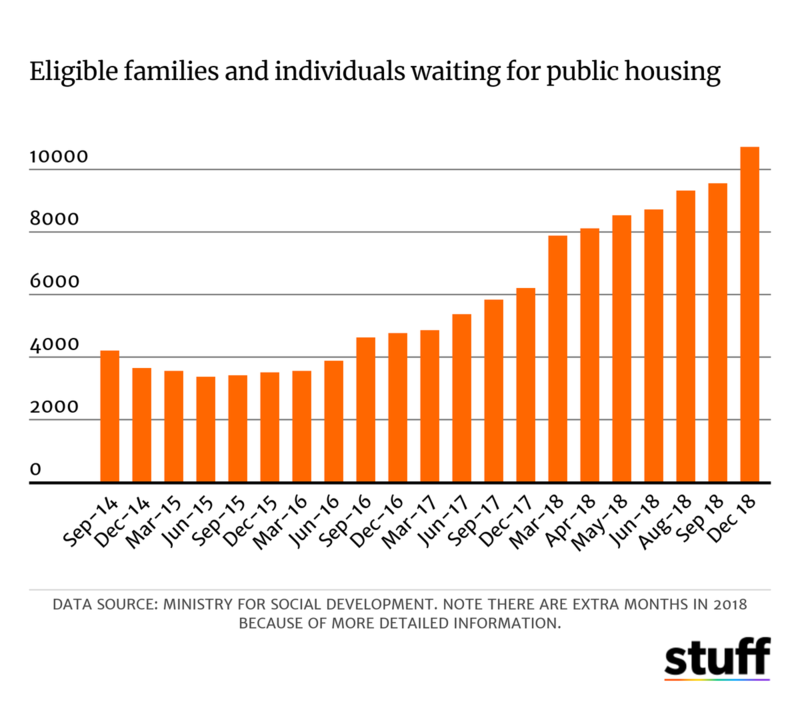 I wonder if this is another scrapping of an interim target but retaining the 10 year target (as the Government has done with KiwiBuild targets). “I believe Labour’s plan is a game-changer. It will reduce the $2b a year that congestion costs Auckland. It will realise Auckland’s potential to be a truly world class city,” said Ardern. She said Labour will give Auckland Council the power to introduce a regional petrol tax – understood to be 10 cents a litre – to help pay for light rail. Infrastructure bonds and targeted rates will also be used to fund transport in Auckland. A world class city needs a rail connection from the CBD to its international airport – that’s why Labour will build light rail to Auckland Airport as a priority, said Ardern. The fuel tax to fund it was a priority – it is already being paid in Auckland. But the actual building seems to be less of a priority – or it was a promise made without a proper assessment of how long it might take to do. Don't worry, they're still delivering it as it's still the thing that makes the most rational sense in all the analysis done by both Auckland Transport and NZTA. Govt guilty of being over optimistic in how long it would take to change the bureaucracy though. Twyford was still talking up light rail in Auckland as a game changer yesterday in parliament, but the game was going into extra time. 8. Hon PAUL GOLDSMITH (National) to the Minister of Transport: Is he committed to building light rail from the city to the airport in Auckland and if so, when will work begin? Hon PHIL TWYFORD (Minister of Transport): Yes. Light rail will be a game-changer for Auckland. It will be a magnet for private investment in urban renewal, and each line will be able to carry 11,000 commuters per hour, the equivalent of four lanes of motorway. The light rail project will extend Auckland’s rapid transit network, a core part of our plan to build a modern transport system for the city. There is a procurement process under way now, so work has already started. Hon Paul Goldsmith: Is the Government on track to have built light rail from Wynyard Quarter to Mount Roskill within four years of becoming Government, as promised by Jacinda Ardern in August 2017? Hon PHIL TWYFORD: At that point, Jacinda Ardern was not the Prime Minister. SPEAKER: Well, it answered as much as the Minister has any responsibility for it. SPEAKER: Well, the member can ask it again. Ask another question if he wants to. Hon Paul Goldsmith: Is the Government on track to have built light rail from Wynyard Quarter to Mount Roskill within four years of becoming Government? Hon PHIL TWYFORD: I’ve expressed the view that we hope to have shovels in the ground in 2020. There’s a procurement process under way; that’s what we’re working towards. Hon Paul Goldsmith: So is that another target he no longer intends to keep? Hon PHIL TWYFORD: I reject the premise of the question. Hon Paul Goldsmith: Does the Minister agree with infrastructure Minister Shane Jones’ message to Phil Goff about the light rail project: “I would say before Phil Goff gets too enthusiastic about the Dominion Road idea he needs to sort out how he’s going to fund the CRL project. It hasn’t been completed yet and now he’s got to find $500 million to $1 billion for that.”? Hon PHIL TWYFORD: Well, I would point out that the light rail project is being pursued through the Auckland Transport Alignment Project and is expected to be funded and financed as part of that 30-year transport plan, and funded partly through the National Land Transport Programme. The member will know that the City Rail Link project that was entered into under the former National Government is funded through Crown contributions—completely separate from the National Land Transport Programme. Twyford fobbed off the promise as “At that point, Jacinda Ardern was not the Prime Minister.” Does that mean that any promises made by Ardern during the election campaign are not worth the PR they were written by? An implication raised here is that NZ First are not playing ball in Labour’s ambitious game changer. Can any election ‘promise’ be taken seriously when governing agreements negate them? Single party claims like “Labour will build light rail to Auckland Airport as a priority” are meaningless if Labour is not going to run a majority Government alone.